Hello, Altenew friends! How times flies when you are having fun! It is my last week here at Altenew ALREADY! It's been a blast to say the least. The Ori Kami and Hennah Elements CAN be such a lovely combo together. The vines provide a great background for the bird. And never underestimate the smallest stamp from Hennah Elements. See those tiny dots? They sure packed a punch. 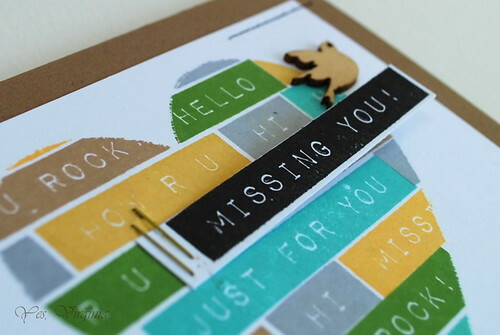 Here is a closer look at this set Label Love....it is one of the most versatile sentiment sets- EVER! By stamping the multiple sentiments in one large masked heart, your message is loud and clear. I played some more and mixed them up even further! Painted Flowers, Label love, Hennah Elements... Sure, why not!? What I love about Label Love sentiment is that they look EXACTLY like the Dymo Tape. They are not just limited to black! I got even more creative with Label Love by using the back side of the stamps. 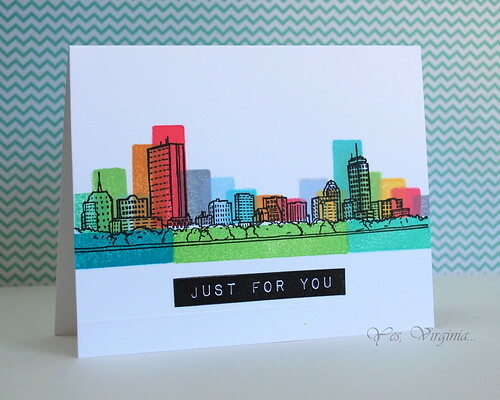 The various lengths of stamps in Label Love are perfect for color blocking with Sketchy Cities America. Since it is such a colorful design, embellishments were not needed! 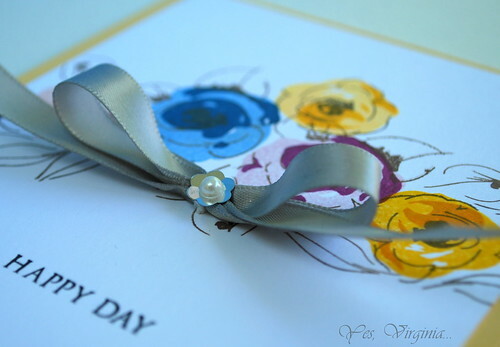 I think it makes a great masculine one layer card! I also like how this feminine one layer turned out! 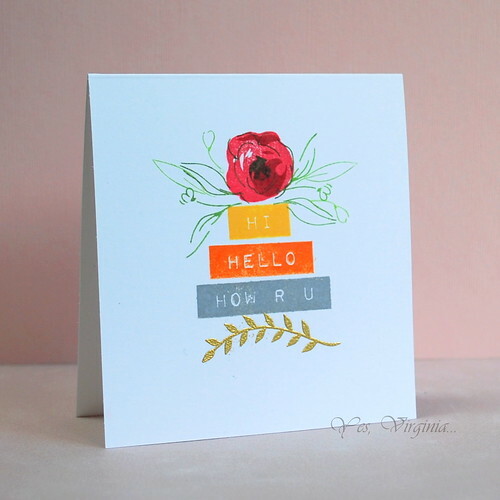 Painted Flowers + Label Love = LOVE! Are you getting the idea about my "matchmaking"? Isn't it fun to mix them up? 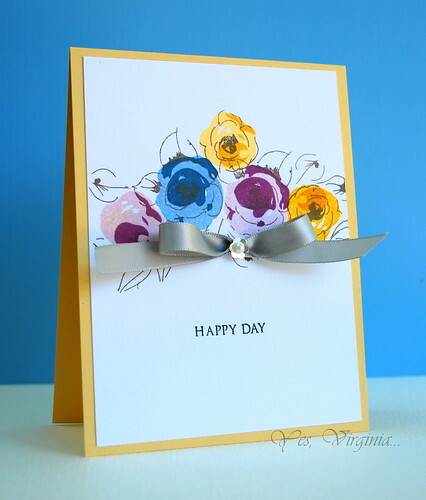 I want to conclude my post with a happy card with Painted Flowers. It truly is a JOY to share my Altenew projects with you. 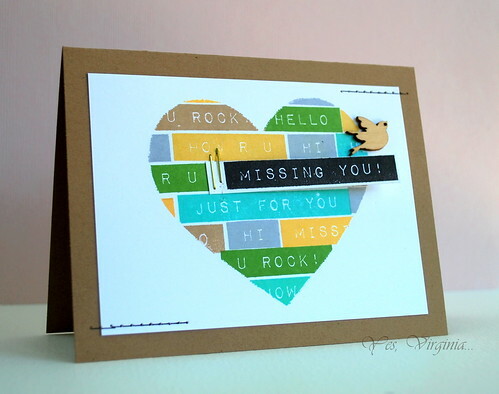 I want to thank Tasnim and Jennifer for inviting me to guest design this month. These two gifted card-makers and now stamp designers have really taken stamp designs to the next level. I am eagerly waiting for the next Altenew release! I wish you all a happy day. Thanks for stopping by! Next article Have you heard of StampNation? So excited to read your title and then my hopes were dahsed! Please come out to Vancouver, BC soon! Torontonians can’t have all the luck!Have fun! Virginia, these are fabulous! You really showed us a variety of ways to use those stamps. I love the colorful cityscape! 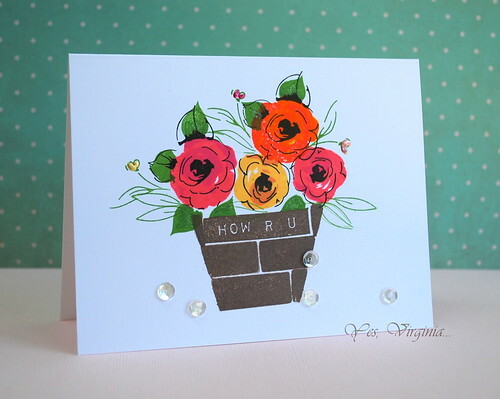 Wow…beautiful cards…great variety of styles. 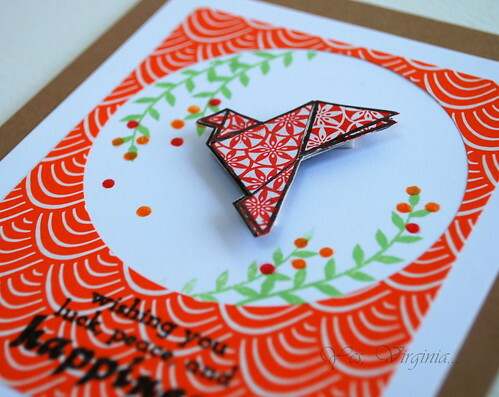 Virginia, I have marvelled at your cards for the past few weeks now, and every one of them have been so inspiring! Such amazing talent, such fantastic stamp sets! The perfect combination! Wow, Virginia! You totally blew me away. These are all amazing! Love (and totally inspired by) your creativity. 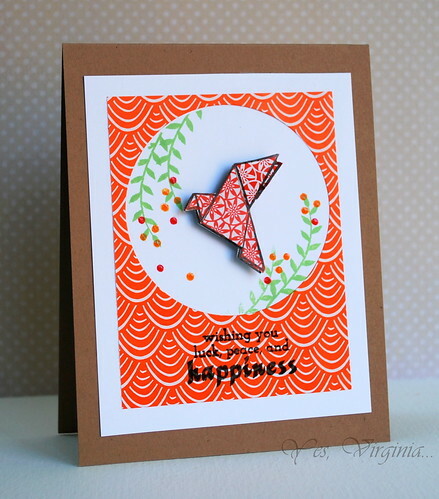 Virginia has done an AMAZING job with all the stamps! Her details are just amazing, and her use of color really showcases the beauty and versatility of each one! I’m really inspired now!!! Beautiful cards! Can’t wait until I can get my hands on some of the lovely Altenew stamp sets. Wow Virginia! All the cards are fabulous, but the first and last ones are my absolute favorites, and the branches in the first one is really eye catching! WOW Virginia… you have been busy. Totally fabulous cards. I’m so in love with the last one. The silver bow is stunning with the beautiful flowers.